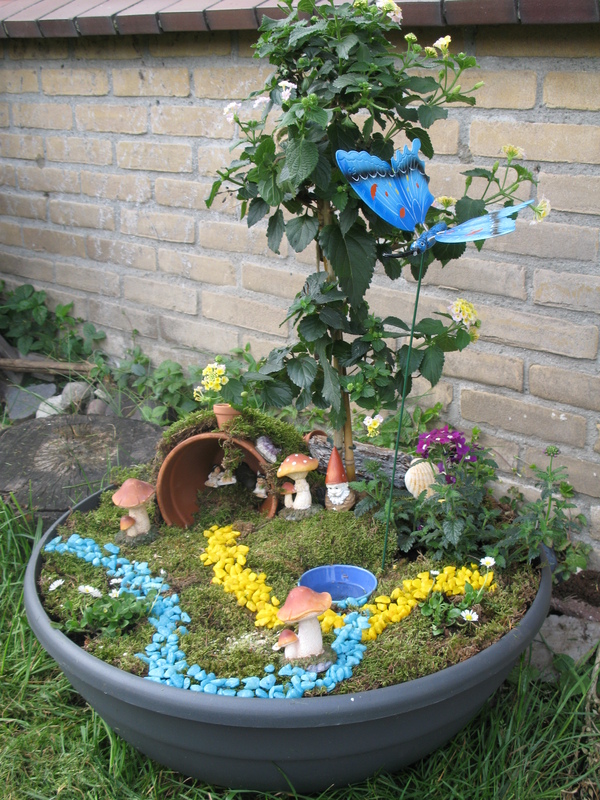 This year in May I started the project “Fairy Garden” in our front yard. I saw this idea on The Magic Onions. 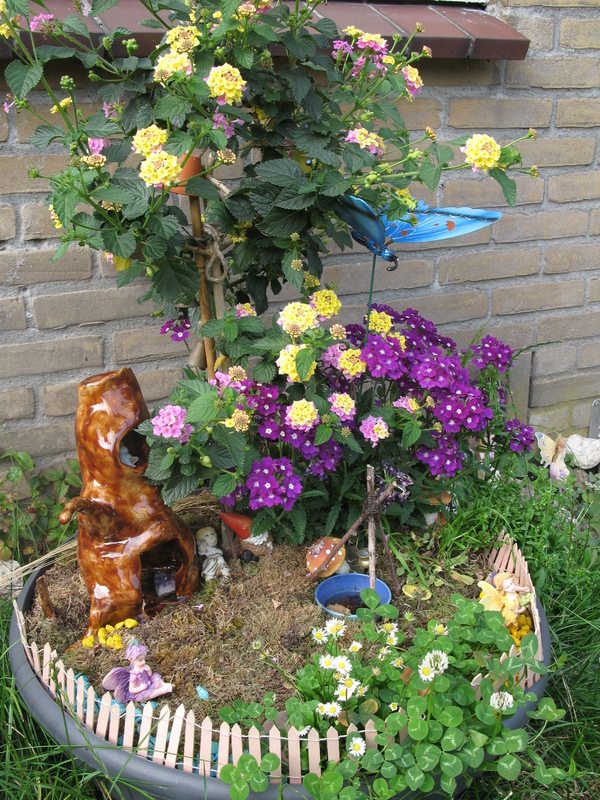 Together with our neighbor girls and boy, the bowl was filled and the plants were planted. 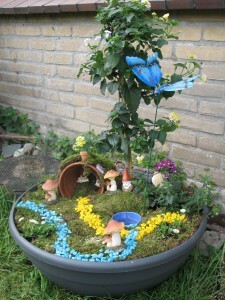 They have been played a lot with it: the children took care of the plants and played with the fairies. For the boys, there came a dragon to guard the stones. 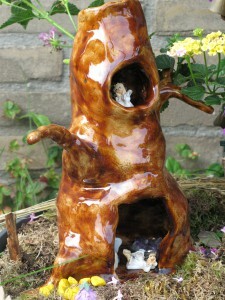 A beautiful tree made of clay by a friend of mine replaced the pothouse. Because my daughter loves hammocks, she asked if I could make a hammock for the fairies. I was a bit tricky at first with so many children sharing the fairy garden, but eventually it all went well. So now I am able to enjoy so many different types of play the children are playing. 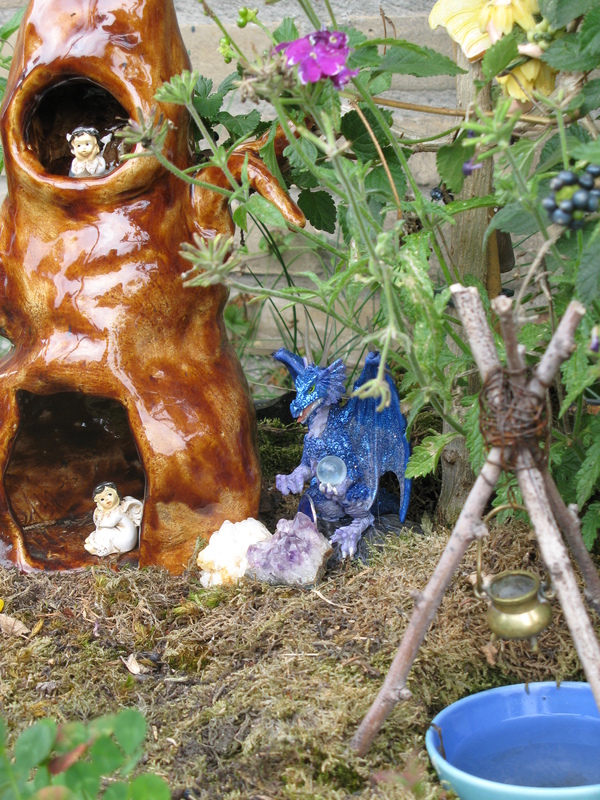 Sometimes there is only one child playing with the Fairy Garden, at other times six children enjoy the garden. 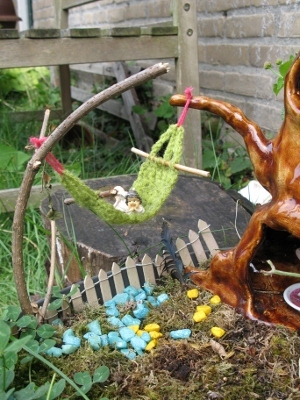 Next year there will certainly be a new Fairy Garden!